On-board jet washer to clean down after use. A fabulous day angler with the added bonus of a jet drive! 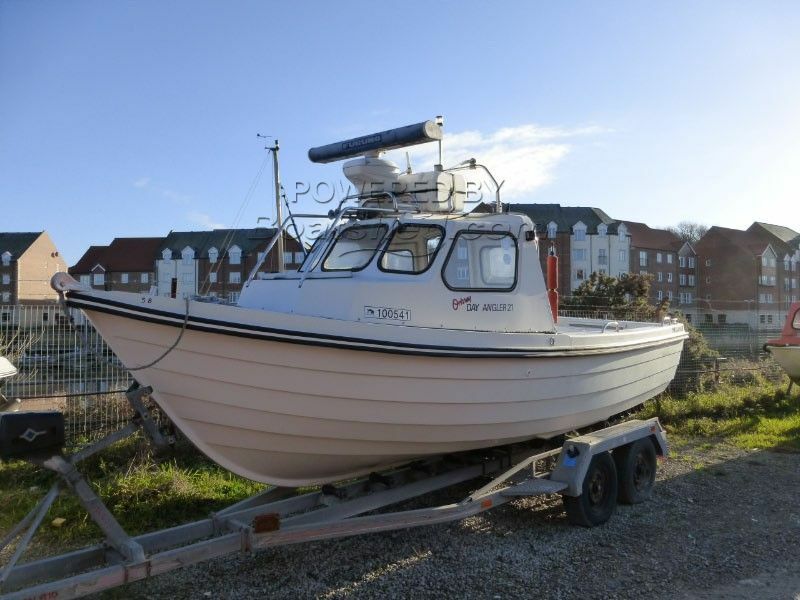 Being an ex-Police boat, this has been very well fitted out, with Depth Sounder, GPSMap and a high powered Furuno radar. Interior fit is fairly basic as you would expect, but still has sufficient comfort for a day's fishing - getting there and back much faster too! Comes complete with a four-wheel road trailer. This Orkney Day Angler has been personally photographed and viewed by Paul Watson of Boatshed Yorkshire. Click here for contact details.